Twelve holes of fun for all the family. Will it be a hole-in-one on the volcano? or a frustrating 8 on the terminal? 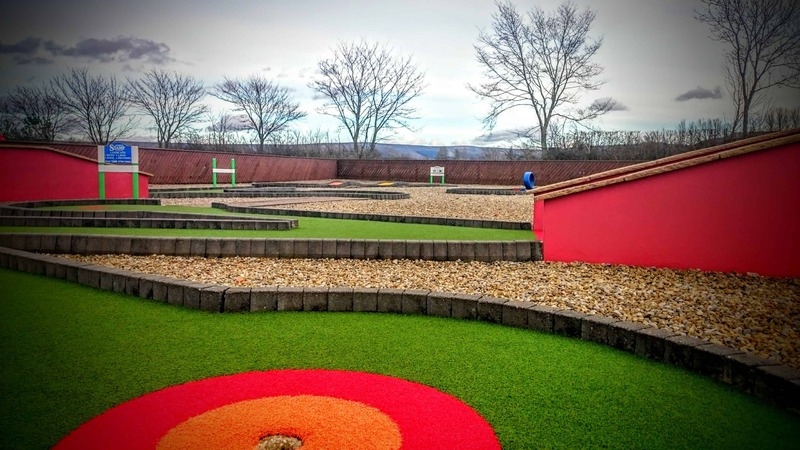 Whether you have ever held a golf club or not it doesn’t matter, Crazy Golf can be played by all ages and abilities and you may surprise yourself! The course has 12 tricky holes for you to meander amongst ending with the trickiest hole on the course. At the end why not come and enjoy some food and drink in our coffee shop. It is a great outdoor activity for all of the family and great for a Birthday Party. To find out more about parties click here. Please note prices include club hire and balls.